Written by Robert J Hanlon. The Asia Pacific Economic Cooperation (APEC) Summit in Vietnam in November signalled a clear path for how the future of global trade and development would be shaped. With the US president describing a system in which the United States is continuously victimised by unfair trade practices brought on by bad deals, China is aggressively courting the international community with commitments to trade liberalisation, economic development and multilateral partnerships. Although American rhetoric is nothing new, Trump’s ‘America First’ strategy has sent chills throughout the economic order, driving governments to seek new development partners and explicitly look to an emerging Asia for new opportunities. Ironically, illiberal China is quickly emerging as the principle advocate for the liberal order. 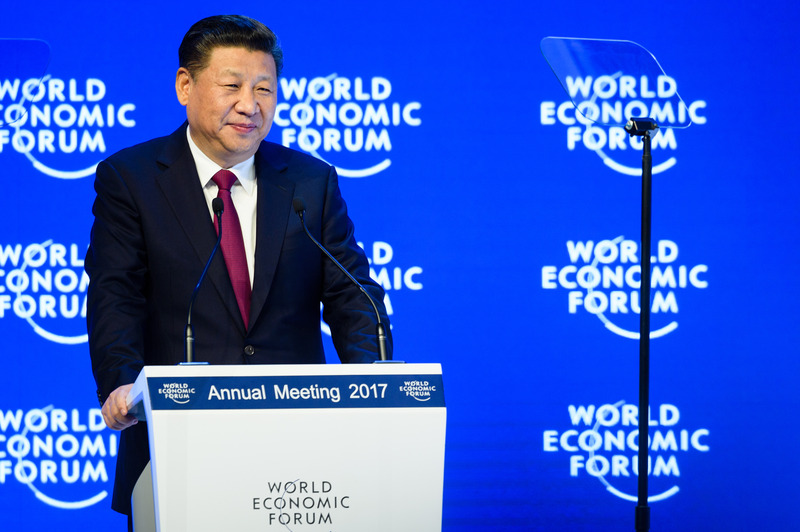 This was made clear at the APEC meeting where China’s President Xi Jinping laid out his vision of a globalised world – one that defends free trade, innovation, and global connectivity. Beijing has placed multilateralism, good governance and sustainable development as core principles of a global order needing to be protected. What’s more, President Xi reiterated China’s progressive commitment to ecological conservation, low-carbon initiatives, and the need to tackle climate change. While China’s foreign policy narrative has developed over the years, the government’s assertive sense of confidence in free markets and commitment to Western development architecture is striking. This has led some observers to question Beijing’s motivation and how the emerging power will wield its new responsibilities within the global order. Indeed, as China is set to become the world’s largest economy by 2020, stakeholders have shown concern about how the country’s rapid rise will impact the global economy and its political structure. In the past, China’s ‘charm offensive’ strategies have struggled, with many seeing the rising power as much of a threat as an opportunity. However, given Beijing’s ability to depoliticise controversial issues such as human rights and its authoritarian governance model, it’s no surprise that multilateral forums have emerged as China’s preferred venues for communicating its interests. Multilateralism has empowered China to not only support the Bretton Woods system but also influence it to support its own domestic and foreign policy preferences. To be sure, the Asian Infrastructure Investment Bank (AIIB) should be understood as the primary indicator of China’s interest in shaping the global order. The Beijing-based institution is permanently changing the development landscape. With a 27.5 per cent vote share in the bank, and having provided half of the original funding commitment of US $100 billion, China has guaranteed itself super-majority voting rights in the institution. The AIIB consolidates China’s foreign and domestic policy needs by operationalising Xi’s China Dream philosophy. This complements the country’s One Belt One Road strategy that seeks to advance regional trade in the fields of energy, technology and advancement. The AIIB promise is to energise South-South infrastructure development within a ‘lean, clean, and green’ framework. But do the AIIB and China’s newly assertive foreign policy objectives seek to undermine the existing global order and challenge the status quo? The answer is a hard no. Yet, there are three important lessons that can be gleaned from China’s growing confidence as a rising responsible power capable of delivering pragmatic leadership where needed. First, the AIIB is not a radical institution and is structured similarly to other large multilateral development banks (MDBs). In fact, the AIIB intentionally hired World Bank staff as consultants in the lead-up to the bank’s inception. The purpose was to show that the bank would reinforce development norms within the region and align itself with already established rules that had been designed at Bretton Woods. Second, the AIIB is not out to replace the existing international order. Rather, it hopes to compliment it and provide new opportunities. While the bank may have begun as a Chinese idea, it remains an 80-member-driven institution that acts on behalf of its membership. If anything, the AIIB should be considered an institution that endorses competitive pluralism that will lead to new innovations in development, largely due to its efforts in meeting the region’s US $26 trillion infrastructure funding gap. Finally, the AIIB’s insistence on an Environmental and Social Framework speaks to China and the region’s wider interests in sustainable development. The demand for a framework should be considered a policy extension of Beijing which seeks strategic symmetry with other institutions. Moreover, it would have been more problematic if the AIIB had not incorporated sustainability mechanisms, considering all members of the bank have endorsed the UN’s 2030 Sustainability Agenda. Make no mistake, we are living in the Chinese century. The establishment of the AIIB is China’s latest push to influence the liberal economic order while forwarding both its domestic and foreign policy interests. Yet the bank is an opportunity and should, therefore, be considered a welcome addition to MDB infrastructure. In times of growing protectionist trade sentiment and right-leaning populist movements, China is emerging as the principle champion of liberal economic values. This is one ‘charm offensive’ strategy that may just work. Robert J Hanlon is an Assistant Professor of politics at Thompson Rivers University and an associate faculty member in the School of Humanitarian Studies at Royal Roads University. 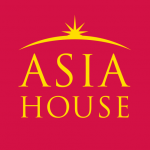 This article was first published on the Asia and Pacific Policy Society blog and can be found here. Image credit: CC by World Economic Forum/Flickr. South Korea: The answer to the North Korean nuclear crisis?